529 Plan Resources (Reader Request) | Principal F.I. One of my favorite things to happen since I started PrincipalFi.com is reader questions and requests for more information. 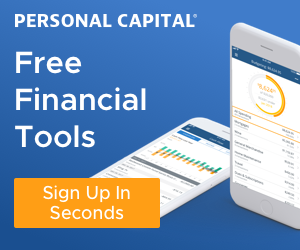 This started earlier than I would have expected, and showed me right away that there is still lots of room for sharing personal finance information! Sometimes, as in the case of last week’s article about savings accounts, I feel able to share both information and my experience on a topic that may have been covered extensively elsewhere. I want to strike the balance between PrincipalFI.com being a valuable resource for anything readers need AND making sure to point readers to great work that has already been done. I’m happy to do the research and write, but if it is something I have limited experience with, I want to make sure to emphasize other voices and point to valuable resources. Today, I’ll be doing the latter. I’ve gotten multiple questions about 529 accounts from readers. In fact, two of our Educator on FI/RE interviewees mentioned 529 as something they’d be interested in knowing more about. Since this isn’t an area of expertise for me, I put the call out to other PF bloggers and got some great resources to share with you! Like so many things in personal finance, the name comes from tax code. God forbid we provide useful descriptive names! In short, the 529 is a way to save for college costs that can provide tax benefits. If you are anticipating future college costs, a 529 may work for you. See What Is a 529 Plan? For a more in-depth answer. It is important to note that while there may be significant advantages, in some cases, funding a 529 isn’t always the best choice for college savings. Much of this depends on your goals, your state, and the plans you access. Make sure you do your research to decide if it’s right for you. To help, I asked for feedback on great resources. The Best Ways to Save For College? Tia of Financially Fit and Fab pointed to the comprehensive resource Saving For College. If you’re ready to learn more, here are several 529 specific resources. I’ve tried to order them in a way that is accessible and allows you to build your knowledge as you go through each. I’d definitely suggest giving them all a look before moving forward. The more information you have the better your choice will be. Quick Overview: This easily accessible overview was provided by Keeping Up With the Bulls and provides both a great summary of 529 and personal experience. This Comprehensive User’s Guide by Seonwoo Lee was suggested by Dillon from Dollar Revolution. He is direct about things to consider before jumping into funding a 529. What Happens to Your 529 Plan If Your Child Doesn’t Go To College? And, of course, if you like doing your own research at the source, the IRS provides a Q&A on 529 plans. Between the time I prepped this resource list and it’s scheduled publication, Physician on Fire ran this useful piece: 529 Plans: What You Need to Know About College Savings Plans. Sometimes it helps to read about individual experiences in making the choice. Here are a few that you may find useful as you make the decision. Steph The Blogger shared her post about finally opening a 529 account. And That Frugal Pharmacist shared her decision-making process in deciding if she wanted To Open a 529 or Not? Spoiler: She does! If you are interested in how to use a 529 for Private Elementary and High School the College Investor has you covered. Finally, I’ve seen a lot of discussion about using 529 contributions as a way to avoid the accumulation of more “stuff.” That is parents asking for college contributions in lieu of gifts. I couldn’t find a good write-up on this, but I’m very interested in providing it as a resource. If you’ve done this and have written it up, please let me know and I’ll link to it. If you’ve done it and haven’t written about it, I’d be glad to host a post! Let me know. There you have it – A starting list of resources to help you answer your 529 questions! If you are aware of other resources that I missed, please let me know in the comments below and I’d love to add them. I’ve just gotten back from a long road trip, and in the coming weeks will be back to my regular posting. I look forward to sharing how the road trip provided us travel savings and explain why I think Las Vegas is the Least FI Place on Earth. And, of course, I’ll continue to share information on how passionate professionals can build their path to financial independence. Please continue to share PrincipalFI.com with your friends and subscribe for updates if you haven’t yet.